The Hindu community in the country is set to celebrate the Saraswati Puja nationwide on Monday (tomorrow) worshiping the goddess of knowledge, music, art and culture. President Abdul Hamid and Prime Minister Sheikh Hasina greeted the members of Hindu community on the occasion pointing out the heritage of interfaith harmony and the government's commitment to ensure rights of all people belonging to diverse religion to build Sonar Bangla as dreamt of Father of the Nation Bangabandhu Sheikh Mujibur Rahman. Major Hindu temples and schools and other educational institutions including universities stage the festival with traditional gaiety and religious fervor. Bangladesh Puja Udjapan Parishad General Secretary Advocate Taposh Kumar Paul told that the members of Hindu community especially students of different educational institutions are ready to celebrate the puja of goddess Saraswati tomorrow with much enthusiasm and religious fervor. "The puja is now not limited to only Hindu community; rather members of every community celebrate the festival spontaneously. This is uniqueness of Bengali nation and its culture," he said. The Hindus worship Saraswati coinciding with the "Vasant Panchami" day with pomp and decor everybody. Traditionally Hindu children are introduced to education and learning on Saraswati Puja and this ritual is called as "Hatekhori". Toddlers are usually given a slate and chalk to scribble with on the auspicious day. In most places including the Dakeshwari National Temple, the Puja will begin at 8am with the offering of "anjali", which will be followed by "hatekhori" (introduction to learning of children) and distribution of prashad. 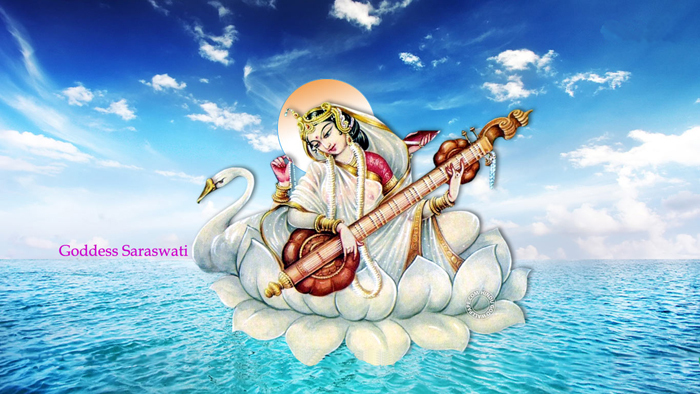 Saraswati, a mythological companion of Lord Brahma, is the personification of knowledge - arts, science and crafts. According to Hindu faith, she represents power, creativity and inspiration and presents herself when the weather is pleasant and nature is in its full grandeur. In the capital, Saraswati Puja will be celebrated at Jagannath Hall of Dhaka University, Dhakeswari temple, Ram Krishna Mission, Jaganntah University, Siddheswari temple, Supreme Court premises, Farashganj, Shakhari Bazar, Tanti Bazar and different places of old Dhaka, Banani, Dhaka College, Eden Girls' College. Jagannath Hall Provost Professor Asim Sarker told BSS that students from over 60 departments, institutes and faculty of the university have made arrangements for the puja on the playground of the dormitory this year. Jagannth Hall administration will organise a puja at the dormitory's Upashanaloy while employees of the hall will stage another six pandals to worship Saraswati. "Every department of the university will show its own characteristics through their pendals and idols. They are preparing pandals and idols on different metaphoric themes and ideas," Sarkar said. Fine Arts Faculty students, however, are likely to take the show at the Jagannath Hall puja with their creative and artistic works in the middle of a pond at the dormitory compound. "The height of the idol to be set up in the middle of the pond will be over 47 feet, symbolizing the 47 years of the country's independence," Palash Saha, one of the organisers of Fine Arts Faculty's puja told BSS. He said they shaped the idol in a South Indian antique form with a unique silver color.